LONG ISLAND CITY, N.Y., Oct. 25 /PRNewswire-USNewswire/ -- Hundreds of burlap bags filled with coffee beans arrived this month from Huila, Colombia at the Port of New York, destined for White Coffee Corporation in Long Island City. The ship heralds a new cooperative agreement between White Coffee and the Asociacion Primaveral, a collection of 24 local coffee growers who live and work on farms south of Huila. 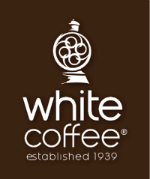 White Coffee Corporation will make a voluntary cash payment, over and above the regular purchase price for the coffee, to enable Asociacion Primaveral to add and upgrade coffee drying facilities and expand production capacity for its members.